From lazy walks through pretty mountain villages, to overnight refuge treks and serious scrambles to bag the wild 3000+ metre peaks, the Pyrenees offer something for everyone. We have a range of walking holidays for you to choose from. 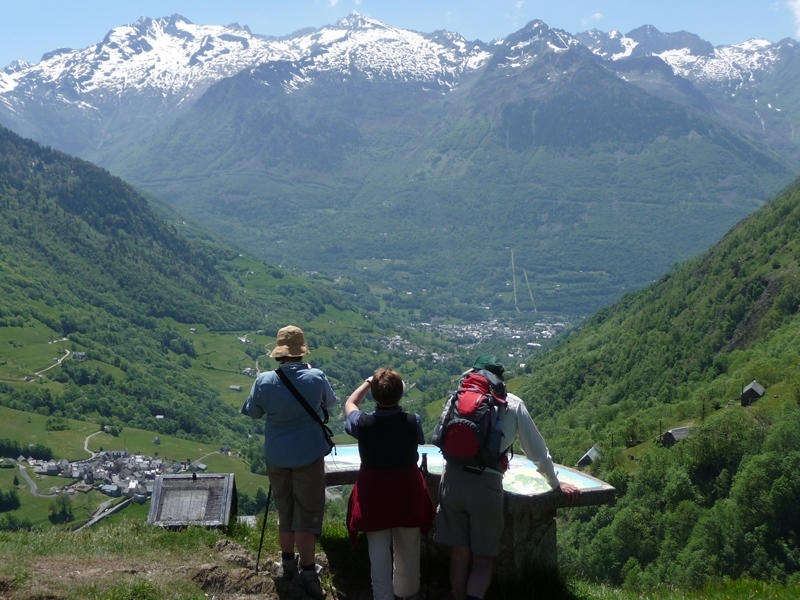 Most of our walking holidays are based from the French mountain village of Barèges, but we also have some based in the Spanish Pyrenees, and the Cathar country of the Eastern French Pyrenees. We also run Discoverer walks that involve a night in a refuge. 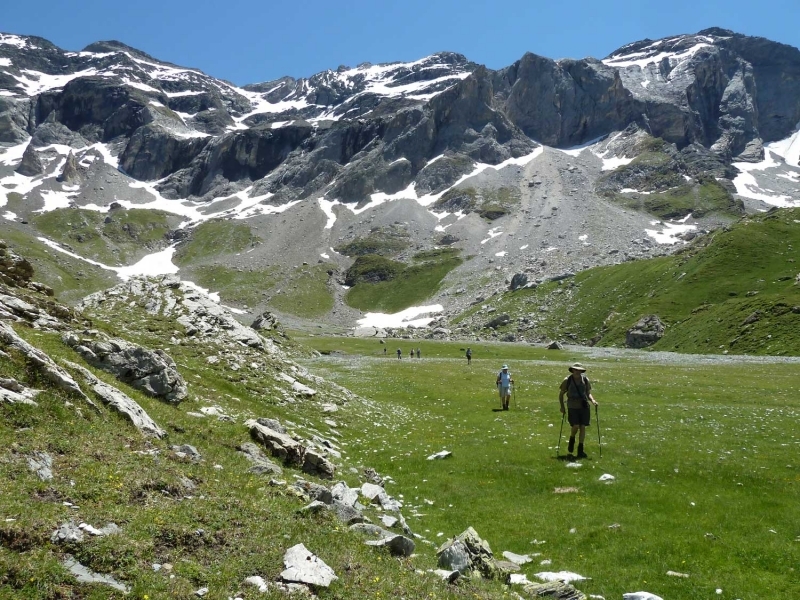 If you want something more challenging, we recommend you visit our Trekking page to find out more about our hut-to-hut treks in the remote Pyrenees. The Pyrenees lake land with a “tramping” club from New Zealand and Australia. 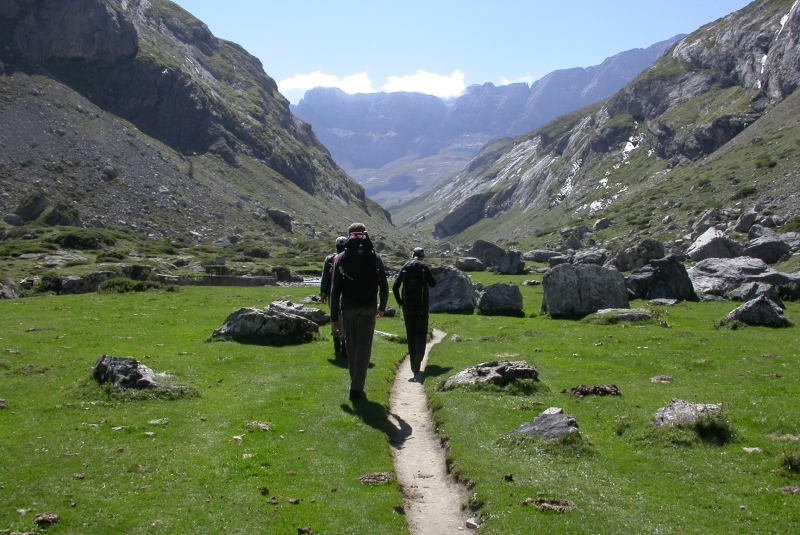 Our walks,treks and hikes are categorised so that you can choose a Pyrenees walking holiday that is right for you. Use the table below to pick the level of walking that best suits your group, or choose your holiday by area. Taster Combine leisurely walking with sight-seeing. We stick to gentle terrain where possible, with plenty of breaks and café visits, but no compromise on the scenery. Visit the Pic du Midi observatory with panoramic summit views, buy local French delicacies at a bustling market and admire historic castles and churches. Typical daily walking time: 3-5 hours with maximum ascents of 300-500m. Explorer A full walking holiday at our most gentle level. Relatively easy walking in stunning mountain landscapes, on defined paths and tracks. Meander through picturesque perched villages, marvel at towering cliffs and crashing waterfalls in the frontier cirques, and enjoy a picnic in flower-filled meadows. Walks of 3-5 hours, with typical daily ascents of 300-500m. Discoverer Our most popular choice. Guided mountain walks of 5-8 hours and daily ascents of 500-800m, sometimes up to 1000m. Explore remote cirques and valleys, take a dip in a sparkling lake, and conquer the high ground for breathtaking views. 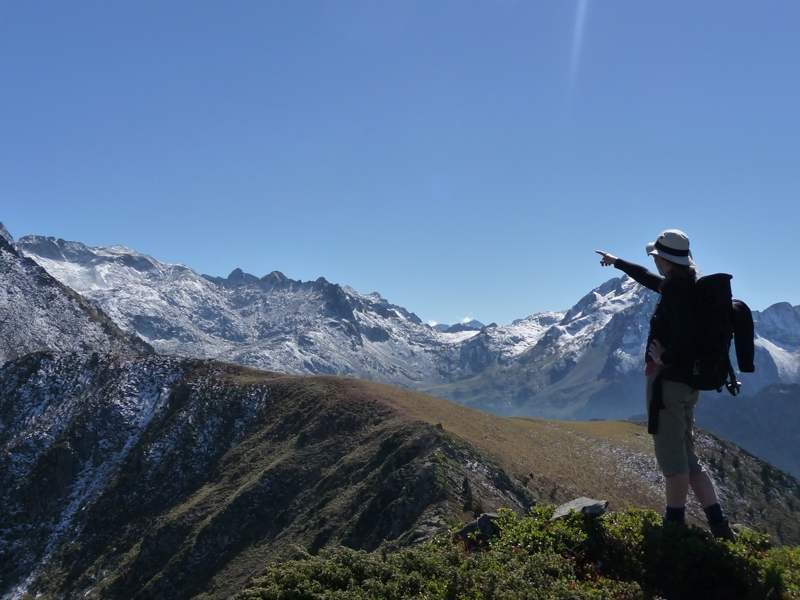 Our “mini trek” special trips include one or two nights in a manned, catered refuge, to visit the wildest areas and experience magnificent Pyrenean sunrises and sunsets. Adventurer Tackle the Pyrenees’ biggest peaks and venture off the beaten track into the untouched brilliance of the Pyrenean wilderness. Practice your boulder-hopping, look down on vultures and see the roof of the world atop a 3000m+ peak. Ascents average 1000m and up to nine hours of walking a day. Often these trips include a night in a far-flung mountain refuge, with a very contented guide! Trekking Hut-to-hut high-level trekking on the famous long-distance Pyrenean routes. Challenging 8 hour+ days with ascents of over 1000m on rough paths criss-crossing the French-Spanish frontier. Complete a long-distance journey through remote wilderness, bathe in blue pools, feel totally isolated from the outside World. These trips require a good level of fitness and experience. 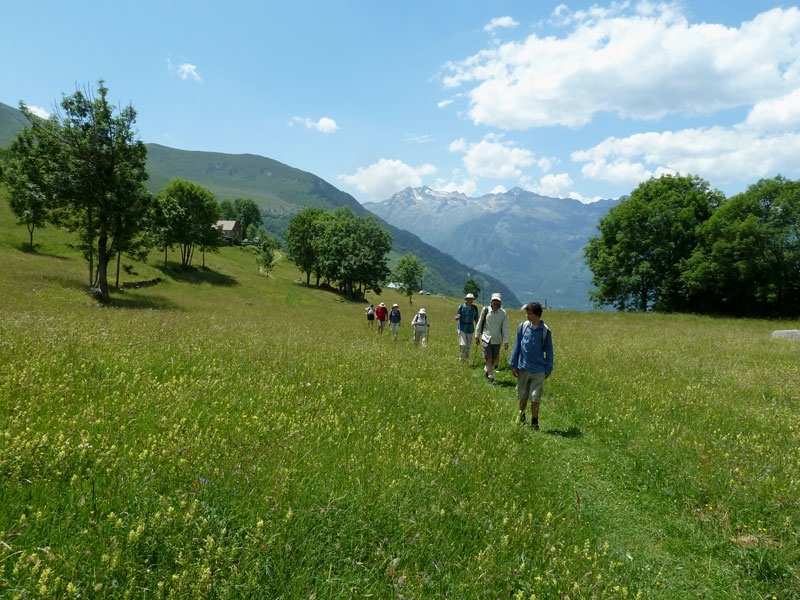 Many of our Pyrenees walking holidays are based in the traditional French mountain village of Barèges, where we offer chalet accommodation at our own lodge “Les Cailloux”. 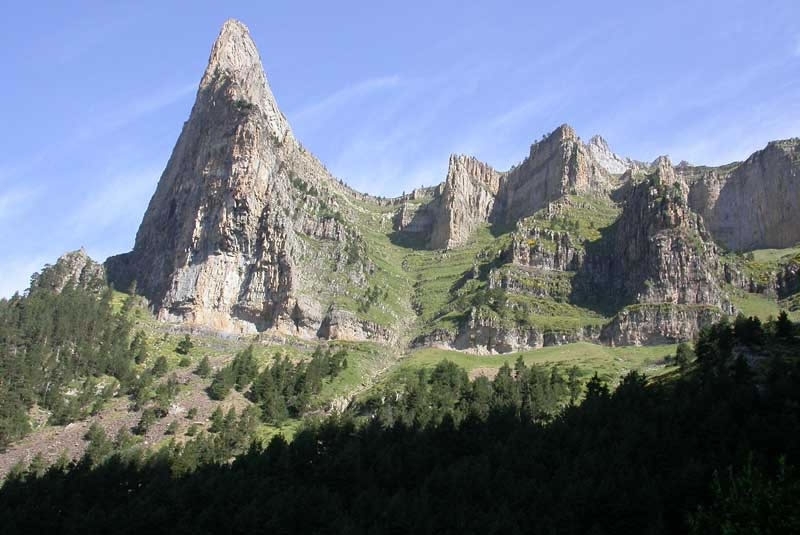 We also offer hotel-based walking holidays in the Sierra de Guara and Monte Perdido regions of the Spanish Pyrenees, as well as a special Cathar country walking holiday in the Eastern Pyrenees. On our Adventurous mountain walking and some Discoverer level trips we spend a night in a refuge. For those who prefer an independent Pyrenees walking holiday, we provide catered accommodation in our 3-star chalet in the heart of the traditional mountain village of Barèges. Please contact us for more information. Please visit our Summer Walking Holidays calendar to see when each type of holiday is scheduled. We can be flexible and change our timetable for advance bookings and groups. We can also organise totally bespoke trips with private guiding. All of our mountain walking holidays are led by fully qualified International Mountain Leaders (Accompagnateurs en Montagne), who tailor each walk to your interests and abilities. 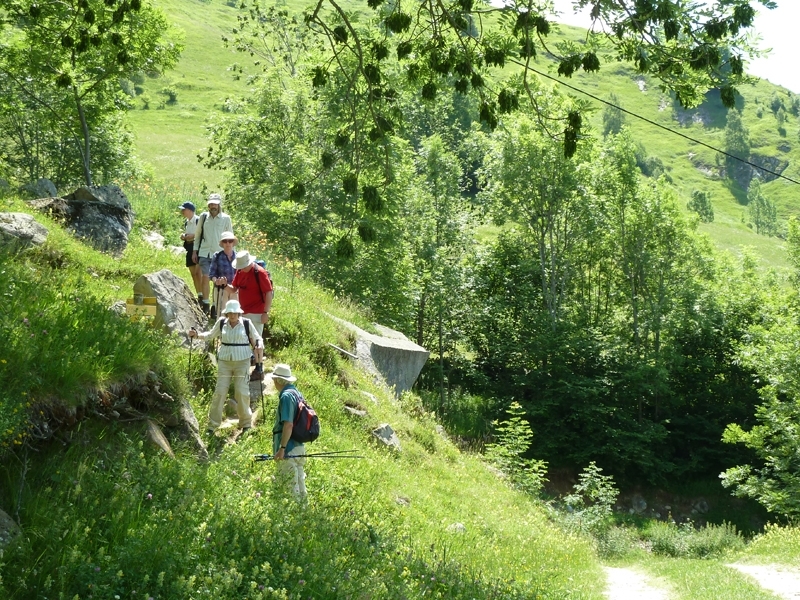 We believe that the French have got it right when it comes to guided walking. There are over 3000 “accompagnateurs en montagne” in France. 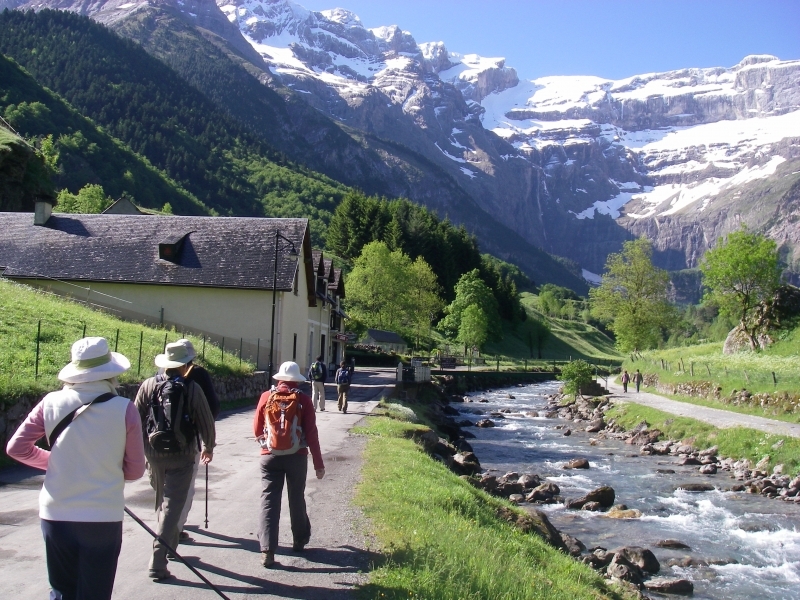 If you are looking elsewhere for guided walking be sure your guide is an IML or Guide de Haute Montagne as these are the ONLY legal qualifications for leading mountain walks in Europe. The French use Mountain Guides because it’s the best way to get the most from your mountain walking holiday. Your qualified guide will point out flora and fauna that you might otherwise miss, and give you information about local history, language and cultures. You’ll be discovering things first hand that no guide book could ever tell you. Mountain Leaders also pick the best routes for your group’s ability and interests. You won’t need to worry about an uncrossable river, or doing unnecessary walks through ugly ski-lift areas. Mountain Leaders trained in first aid, how to deal with emergencies on the mountains, and they carry emergency gear such as ropes, group shelters and group first aid kits. For mountain walking we only use qualified, experienced International Mountain Leaders so you can have a safe and thoroughly enjoyable mountain walking holiday. 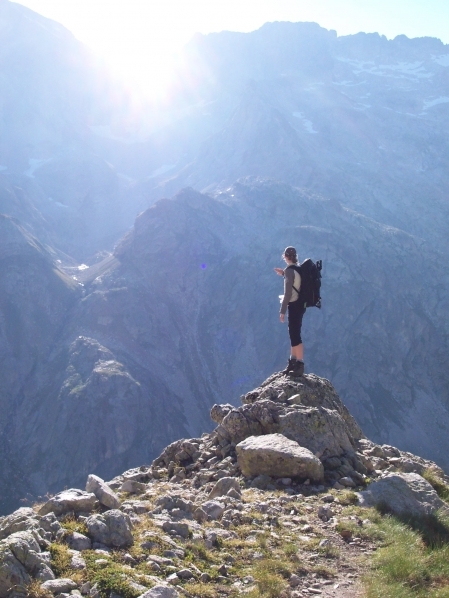 Why choose Mountainbug for your walking holiday? All-inclusive holidays Our holidays really are all-inclusive. There are no hidden extras. We make sure you know what you are paying for before you arrive. Qualified leaders All of our guided trips are led by guides who are qualified in their activity. Visit our About Us page to find out more. 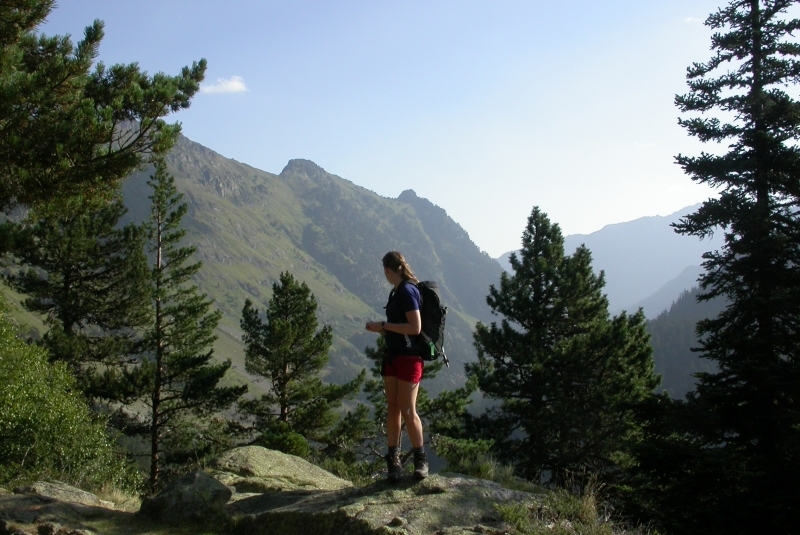 We take care of the details Our holidays mean that you will experience the Pyrenees in a relaxed, enjoyable manner. We take care of your accommodation, meals and transfers to and from walks – everything you need to make the most of your time in this beautiful area. Local knowledge We have worked in the Pyrenees for over 10 years. We support the local economy and know the area intimately, guaranteeing you the best routes, activities and a seamless holiday. Quality accommodation Mountainbug’s main based is chalet “Les Cailloux” in Barèges, owned by Robert and Emma Mason. The chalet provides high quality, 3-star accommodation, with the needs of mountain visitors always in mind. Great food The chalet serves delicious home-cooked food, using local ingredients. Breakfast, picnic lunches, home made afternoon tea and three course evening meals are all included. Transport All local transport is included in the price of your holiday (this does not include transfers from airports, railway stations etc). Personalised trips Our bespoke trips are specifically tailored to your interests and abilities. Tell us what you want to see, and we’ll take you there! We offer the personal care and attention that only a small company can give. Responsible travel Mountainbug operates a responsible travel policy, supporting the local community and economy, traditional methods, language and customs. We “tread lightly” in the mountains and leave no trace of our passing. We try our hardest to reduce our carbon footprint and our impact on the environment. We take great pride in looking after our guests and helping them make the most of their mountain holiday. We have many guests return year after year and we want this to continue. Please read our guests’ independent reviews either on our website, or on Trip Advisor (under Les Cailloux), Responsible Travel or Google reviews. Please Contact us to book your walking holiday or to ask for any further information.